Affordable homes are lagging far behind higher-priced homes in the home price recovery, according to Black Knight's Home Price Index (HPI). "We looked at HPI appreciation from pre-crisis peaks to today in the 10 states currently trailing the furthest behind their pre-crisis housing maximums," Trey Barnes, Black Knight's senior vice president of loan data products, said . 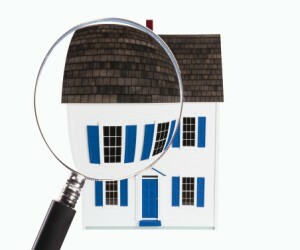 "The data showed a clear difference in the levels of recovery among home price tiers. The Black Knight HPI separates home values for every geographical division into five equal tiers; those in the lowest 20% of home values have been lagging behind their higher-valued counterparts in recovery to pre-crisis peaks, sometimes considerably. For example, in Nevada – overall, still more than 39% off its pre-crisis peak – properties in the lowest tier are nearly 47% off their peaks, as compared to 36% for those in the highest tier. In California, an even starker contrast emerges: properties in the highest tier have now come within just over 3% of their pre-crisis peak, while those in the lowest 20% are still almost 32% down. Black Knight also looked at loan modification distribution, and found that activity was down overall in 2014. Modifications performed under the government's Home Affordable Modification Program (HAMP) accounted for over 50% of all modifications throughout the year, with the majority of activity focused on FHA/VA-backed mortgages. Close to 70% of 2014 HAMP modifications were on FHA/VA loans, as compared to about 15% in 2013. While HAMP modifications generally include greater payment reductions than proprietary modifications, HAMP payment reductions have been lower in 2014; due in no small part to the lower unpaid balances – and therefore starting monthly payments – on most FHA/VA loans. Also, although HAMP modifications exhibit lower re-default rates than proprietary modifications across all vintages, early figures are showing that re-defaults among 2014 HAMP modifications are higher than those of both 2012 and 2013.